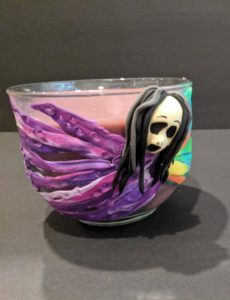 Look at this one of a kind candle cup from artist and author Kiernan Kelly! Hand sculpted from polymer clay, this little fey will light your way on All Hallows and beyond. Find it here at the Etsy shop. Want to bye it direct?